Our aim is to bring country fine dining to the Cotswolds. The menu will revolve around the best seasonal produce locally sourced from British farmers with occasional indulgences as well as virtuous everyday fare. We hope to create a warm, charming and informal atmosphere where we can build a strong following of regular, happy guests and new ones too! 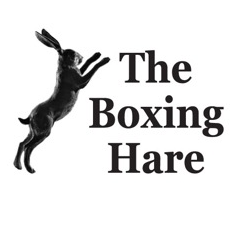 Most importantly to us is that The Boxing Hare should be a great place to wile away a few hours and be looked after by people who truly love what they do. Be it a casual drink with friends, a romantic meal, a special celebration or a family outing, we look forward to welcoming you to The Boxing Hare. What a pleasant greeting we had when we visited. We had planned on fish-Friday but the aged beef won the day and was sooo tasty. A very enjoyable visit made all the nicer with the greeting and service. Wide ranging menu, tasty well presented food, served by friendly helpful staff. An enjoyable dining experience. Had two courses of the set menu. Excellent value for money. The pint of hooky I had was excellent and my colleague enjoyed the recommended red wine. We ended up running late and had a small dog with us which was well accommodated. Overall very impressed, I’ll be back! Lovely bouillabaisse and best venison I have even eaten. I had a lovely time at The Boxing Hare with my family this Mother's Day. I had originally booked the table for four, but the man of the phone was very understanding and helpful, and managed to find a table for us all. The food was wonderful and we didn't have to wait too long for anything. The decor was absolutely stunning and it was a fantastic experience. Thank you! Absolutely incredible food and lovely service. A few of us had steaks, two had the mussels and there was also a vegetarian in the party. So I feel like we had a good snapshot of the menu as a whole. Everyone was raving about their food and the staff were super attentive in just the right amount. Finally whoever those chefs are, compliments to them - a truly wonderful meal! It was faultless. Loved the level of service; attentive but not intrusive. The food was exceptional - truly delicious! I can't wait to go back again. I cannot fault the service, food or incredibly positive attitude to customer service from the owner/manager to the staff. Highly recommend it...the French onion soup and the prawn fritters are to die for! Fabulous lunch for a family gathering. Great atmosphere, food, wine and service. Thank you! Outstanding quality and value. Will definitely go again. Really friendly service and great food. Look forward to having an excuse to eat there again. Lovely meal for two very good service and nice size portions we will visit again, thanks to all of the staff, Mickey and B. If you enjoy beef this is a great place with a good selection of steaks all nicely aged and very tasty! Thoroughly enjoyed my birthday celebration at the Boxing Hare, food, drink and service were all excellent. So glad it is our local! Superb food. The cheese souffle was absolutely divine. I should have just had that for all 3 courses . The service was very slow on Saturday night. However the extra care taken over the birthday girl was very nice and much appreciated. We had a fantastic lunch here on a Sunday. We were made to feel extremely welcome (which isn’t always the case with a toddler in tow!) and our needs were fully accomodated. The food, gin and wine were all delicious- we will definitely return when next in the area. Thank you!